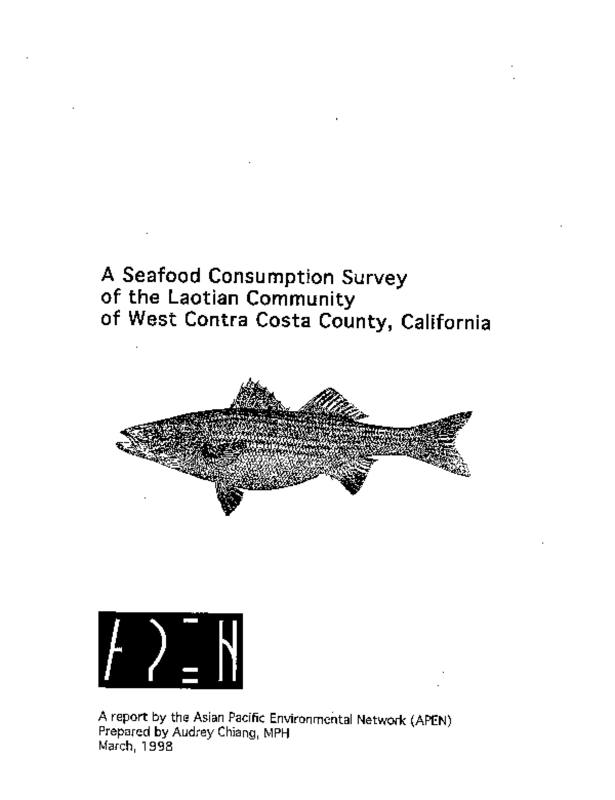 In 1995, the Asian Pacific Environmental Network (APEN) entered into an agreement with the United States Environmental Protection Agency's Office of Environmental Justice to conduct a seafood consumption survey through the "Richmond Laotian Seafood Consumption Research and Education Project." The survey was conducted as a project of the Laotian Organizing Project and was integrated into LOP's organizing work within the Laotian community. In December 1994, the San Francisco Regional Water Quality Control Board released the findings from their study on contaminant levels in fish from San Francisco Bay which found that Bay fish are contaminated with PCBs, mercury, dieldrin, chlordanes, DDTs, and dioxins. Following the release of this report, health officials issued an advisory against eating most species of Bay-caught fish more than twice a month. Surveys on fishing activity and fish consumption in California suggest that Asians and Pacific Islanders (APIs) fish more and consume greater quantities of self-caught fish than white people. While Laotian families in the Richmond area fish and eat fish frequently, most are not aware of the health advisories. The purpose of this report is to document this project's process and findings, and to provide recommendations based on the survey findings. The main goals for documentation are (1) to provide a model for future community-based research efforts and (2) to inform advisories, policies and regulations related to contaminated fish consumption. Copyright 1998. A publication of the Laotian Organizing Project & Asian Pacific Environmental Network.